Influenster was nice enough to send me free samples in their Chic VoxBox. Today, I'm going to review the EOS Dry Skin Shave Cream, Korres Pomegranate Resurfacing Mask, NYX Cosmetics Worth The Hype Mascara, and Hair Food's Moisture Shampoo/Conditioner. If you would like to read more about these products, check them out after the jump! I have super duper dry skin, so I try to only shave my legs when I "need" to. I typically use conditioner as a substitute for shaving cream. Using a men's razor (cheaper, sharper blades that don't rust over night), I HAVE to use something on my legs because I'm super talented at accidentally cutting my knees up. 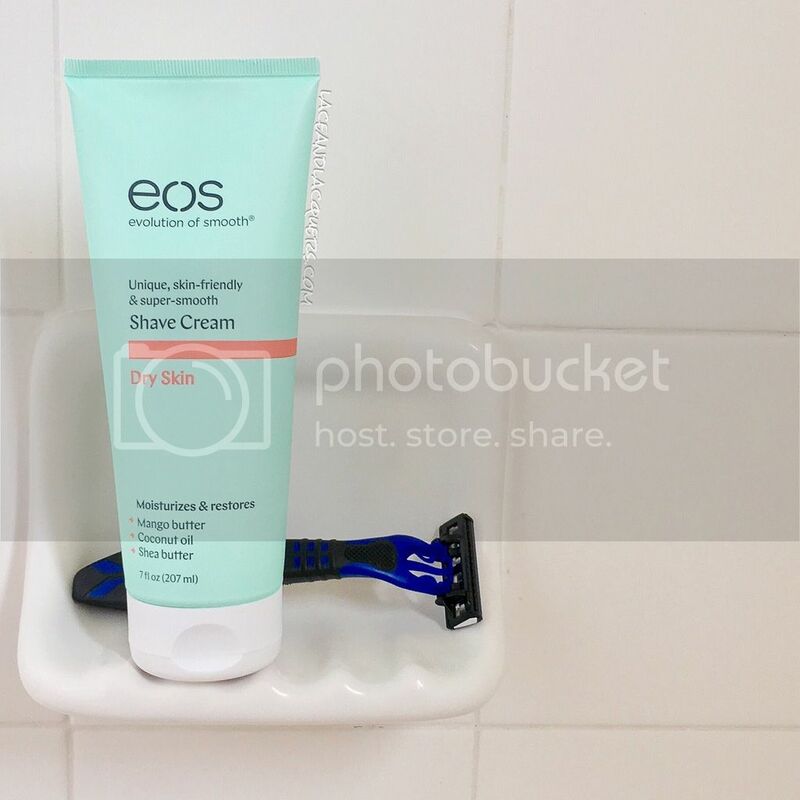 I liked EOS' Dry Skin Shave Cream because the cream stayed in place as I finished my entire leg, and it left my legs smooth and moisturized. I was shocked to wake up the next day and not find my legs dry and flaky for once! I also like that a little bit of cream goes a long way, which will make this tube last forever. 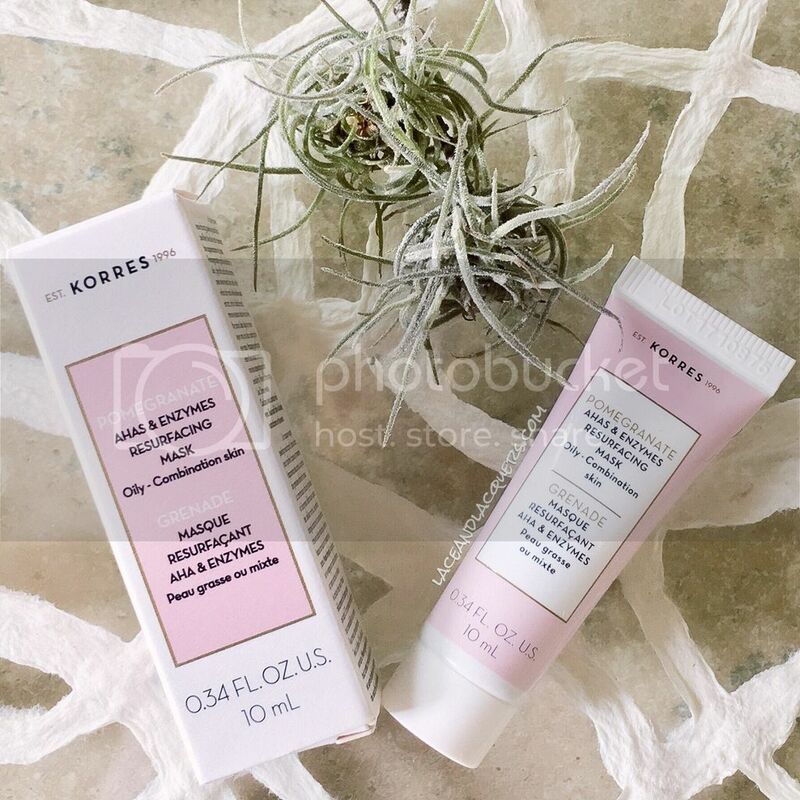 This mask has 27.5% AHAs/BHAs (which are "natural skin resurfacers for glowing, poreless skin"), pomegranate grains, glycolic acid, enzymes white clay, and willow bark extract. It's also contains 87.9% natural ingredients and is free of hydroquinone, petrolatum, mineral oil, silicones, propylene glycol, and ethanolamines. I was hesitant to use this mask because it is made for oily/combo skin and I have dry skin. I was pleasantly surprised it did not dry my skin out at all! After 5 minutes (3-10 is suggested depending on sensitivity), it left my skin looked (and felt) so much smoother and glowing. The instructions recommend to use 3x a week, which I think once a week is perfect for my drier skin. If you have oily/combo skin, I can see how 3x a week would be beneficial. I liked that I was able to get the effect of a mask and an actual granular in one product so I'm able to kill 2 birds with one stone in my once a week facial routine. ANYTHING to make my skin routine easier, I'm down haha. I also like that the exfoliate product is a natural ingredient, not plastic beads. Please note: I would never, ever put myself in the same category of people who can do amazing (or even mediocre) eye make up. I just can't do it, not even with practice lmao. Mascara is about as complicated as it gets for me. 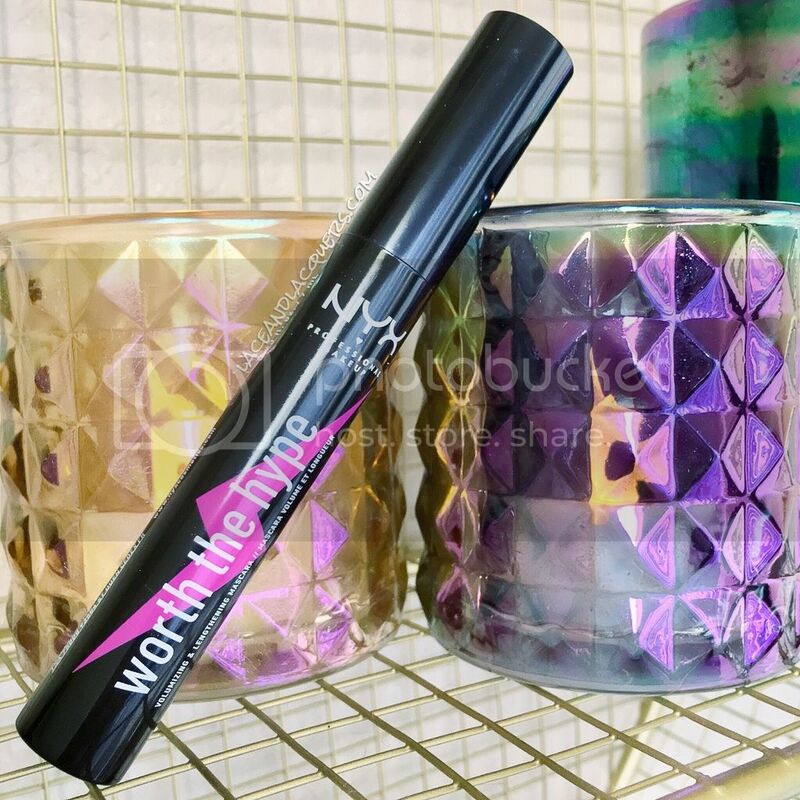 Worth The Hype mascara is made to help add volume for bolder, fuller, thicker lashes. It has a buildable formula which allows you to decide how much volume you prefer. The mascara was easy to coat over my lashes without clumping. I did 2 coats to make my eyelashes pop for my everyday, super lazy, BB Cream and chapstick only look. The brush design was made to assist in lengthening, separating, and building. I really like this brush because it covers a lot of square footage in one swipe and it fans my eyelashes wayyyyyyyy out, but all pretty-like (of course). The tapered ends made it easy to get the inner corners and outer bits of my lashes. 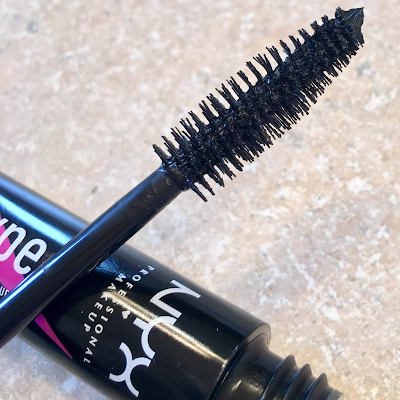 This is one of the few mascaras I've tried that doesn't irritate my eyes before I take it off at the end of the day. I've tried many brands, including other NYX mascaras. No itchy, scratchy, watery eyes, that's one hell of a selling point for me! In addition, while it is not a waterproof mascara, I did run through a torrential downpour while wearing this mascara. I was soaking wet head to toe and my mascara wasn't streaming down my face by the time I got to my car. :P This is an added bonus because by the end of the day, I had zero smudging or flakes of mascara under my eyes. Hair Food is a brand of hair care products inspired by super-food curated by hair experts and nutritionists for healthy hair. 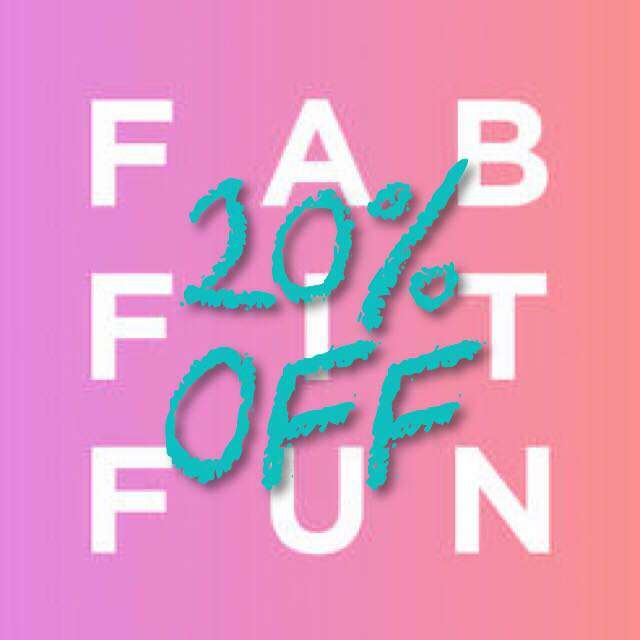 Their products do not include parabens and mineral oils. 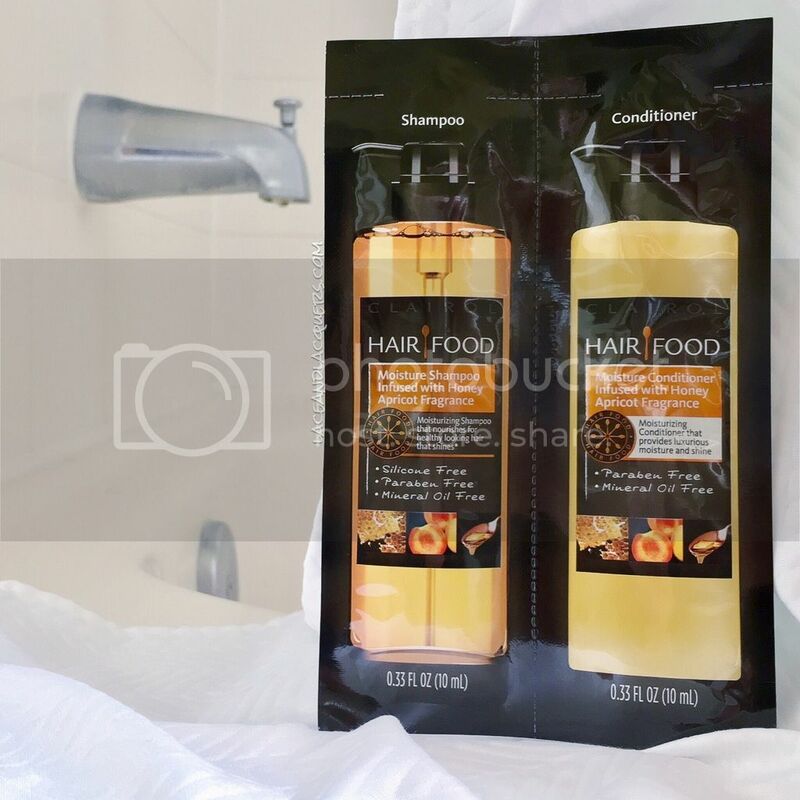 I was sent the Moisture Shampoo and Conditioner set Infused with Honey and Apricot fragrances. While the fragrance is really tempting, I'm unable to use these products. I recently began following the Curly Girl Method to improve my wavy/curly hair. Both shampoo and conditioner contain ingredients that are to be avoided while following the CG Method. While the shampoo is silicone free, it contain sulfates and the conditioner contains silicones (which weighs my hair down significantly anyways :-[ ). To continue trying to get the best curl I can out of my hair, I am unable to review these products because I do not want to stall the progress I'm already having. Thank you for understanding! Hope you enjoyed this review even though I didn't review any nail polish. Hopefully I can swatch soon, I'm waiting for a fingernail injury to grow out!